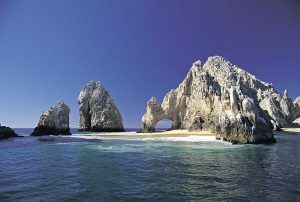 El Arco or the Arch in particular, is now as symbolically synonymous with Cabo San Lucas as White Cliffs with Dover or the Rock with Gibraltar. 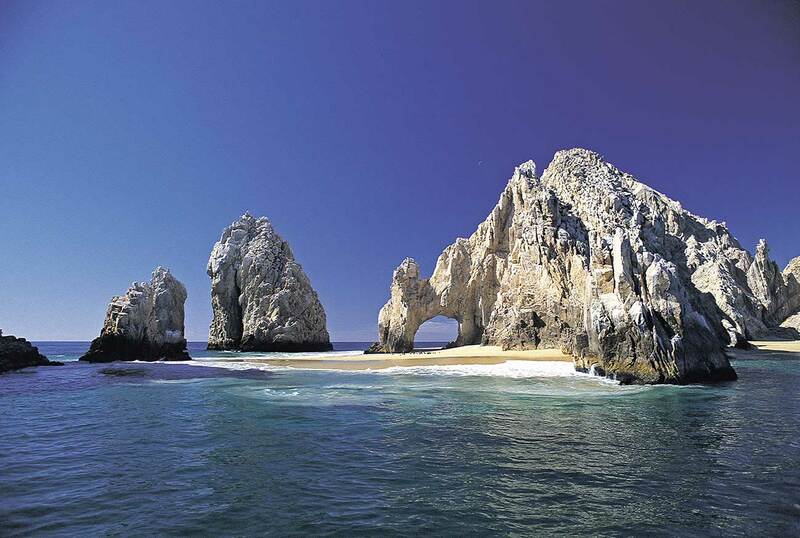 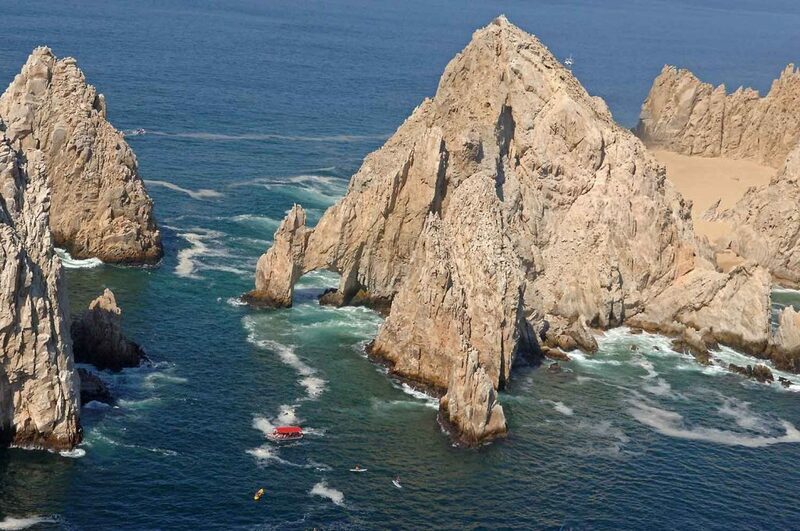 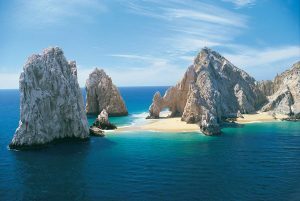 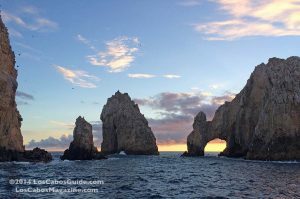 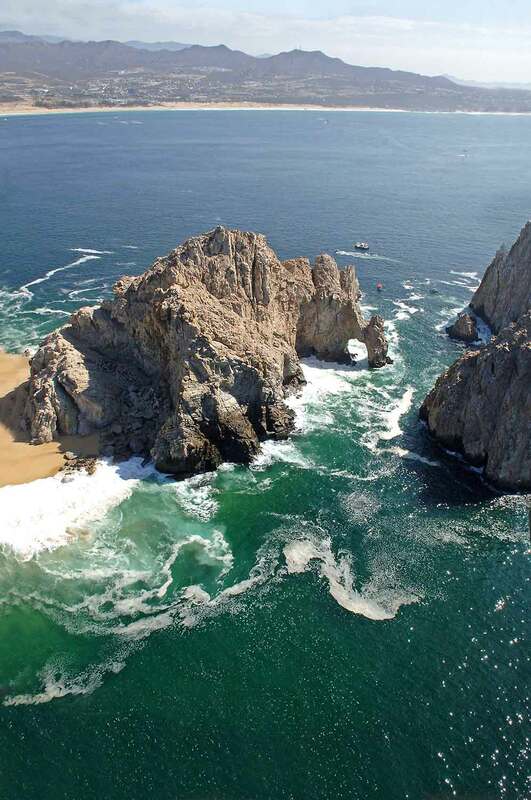 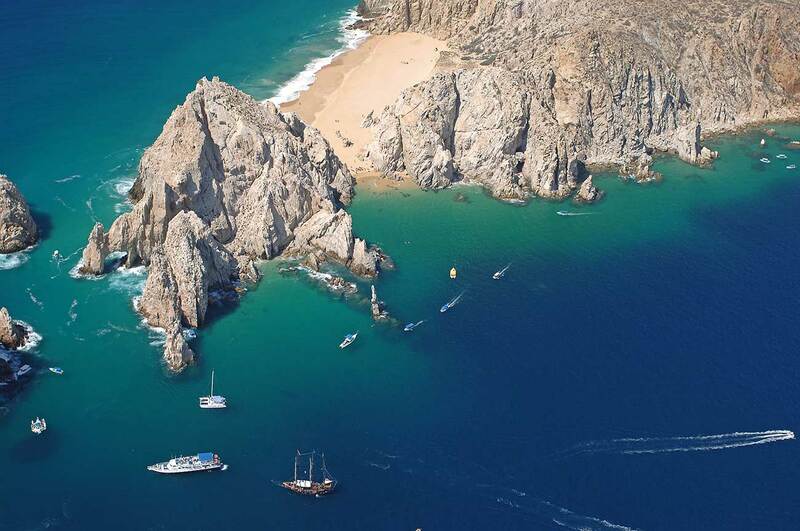 The naturally formed Arch bounded by two immense bodies of water–the Sea of Cortés and Pacific Ocean–is a staple image on postcards and photographs, on souvenir T-shirts, shot glasses, and tequila bottles. 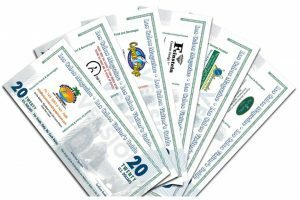 It’s co-opted for packaging and advertising campaigns and splashed across the front of travel brochures and local lifestyle magazines. 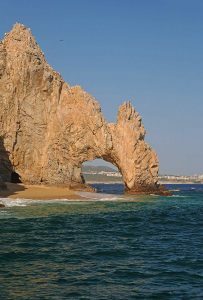 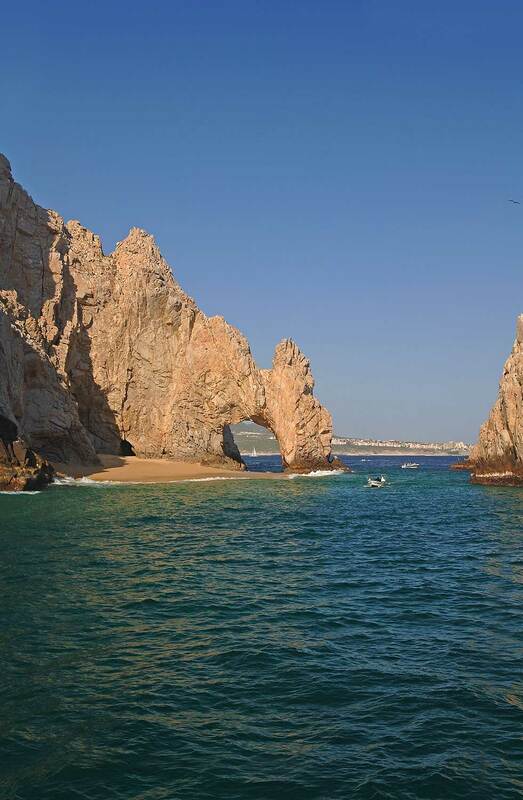 Image of the Cabo San Lucas stone arch at Land’s End with sand under the arch. 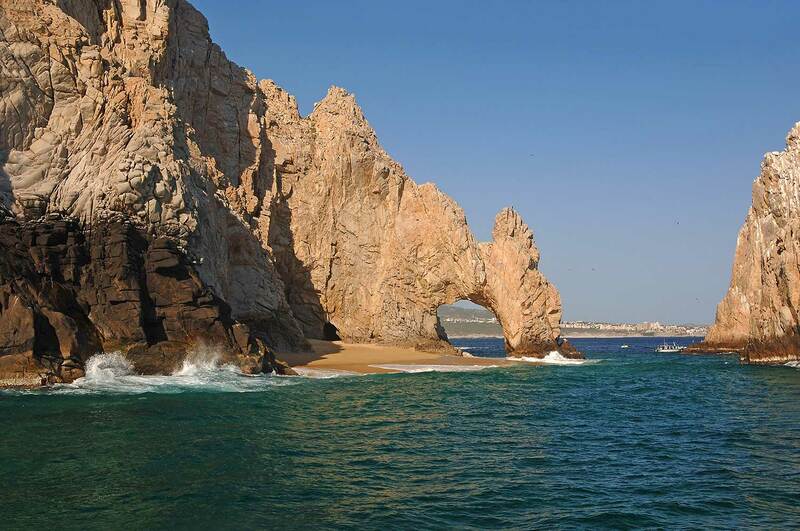 Sand is not alway visible under the arch. 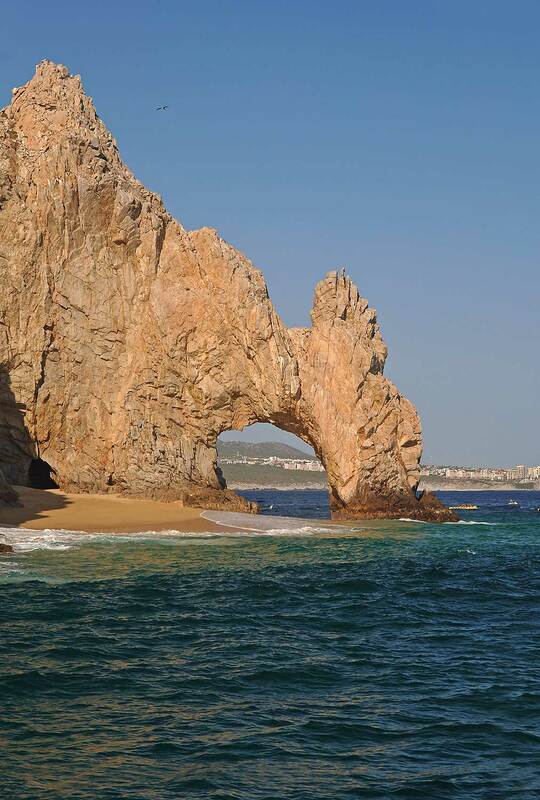 Different marine conditions affect the amount of the sand that is visible under the arch, including tides and seasonal currents. 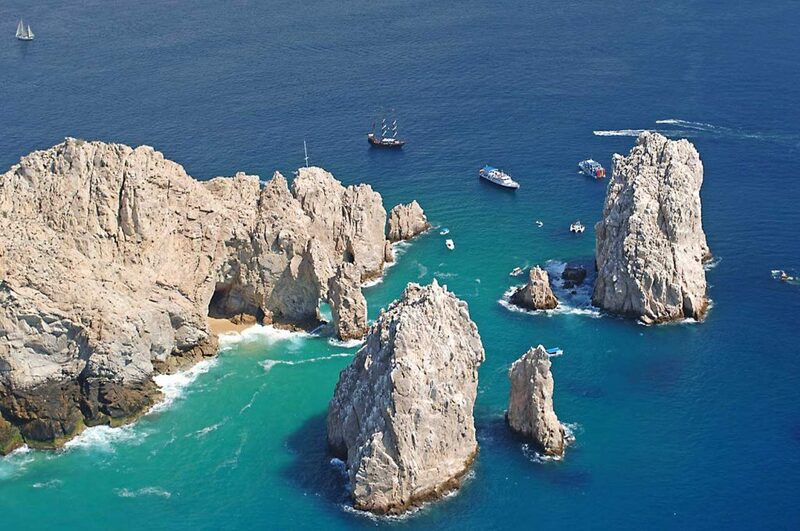 This occurs every 4 to 7 years. 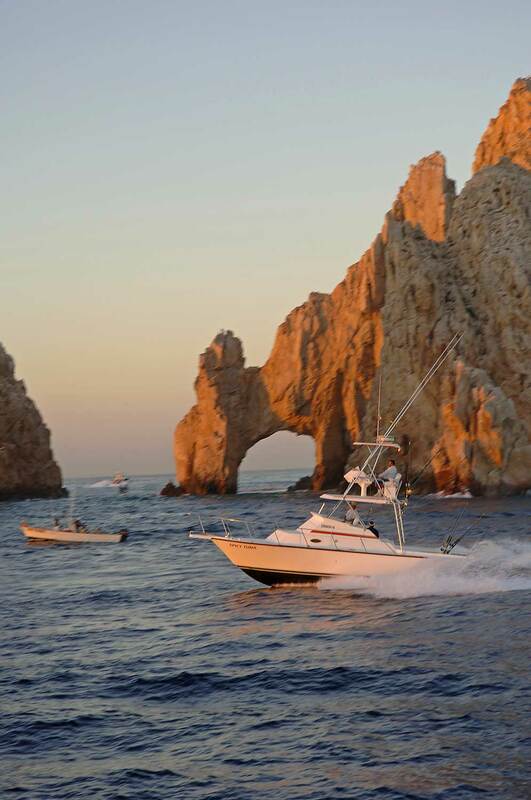 The following is an excerpt from Ventana Magazine. 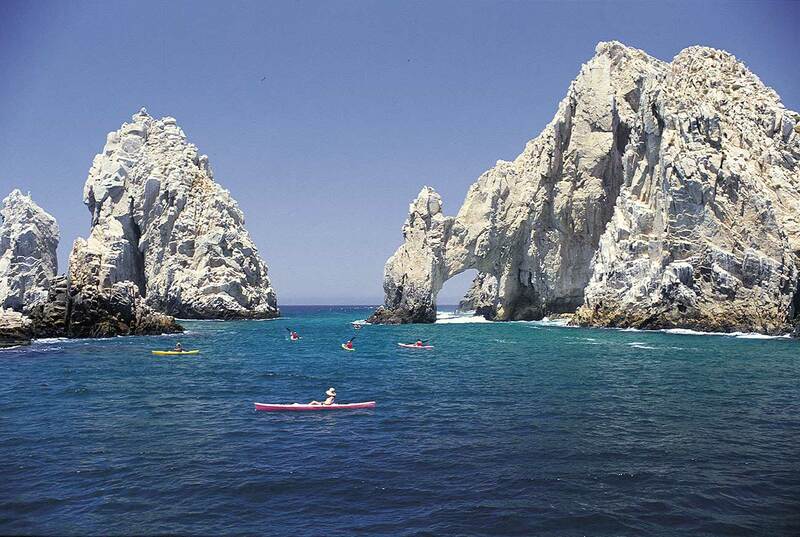 This picture, on the right above, of the majestic stone arch of Cabo San Lucas at the southern tip of Baja California Sur, Mexico, was taken in the morning of February 1989 during a year when sand was under the arch. 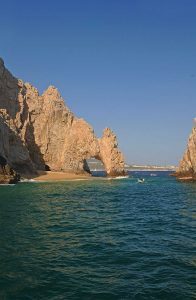 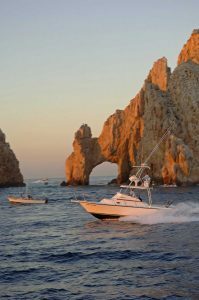 More photographs and Images of Cabo San Lucas, San Jose del Cabo and the Tourist Corridor, Los Cabos, Baja California Sur, Mexico.